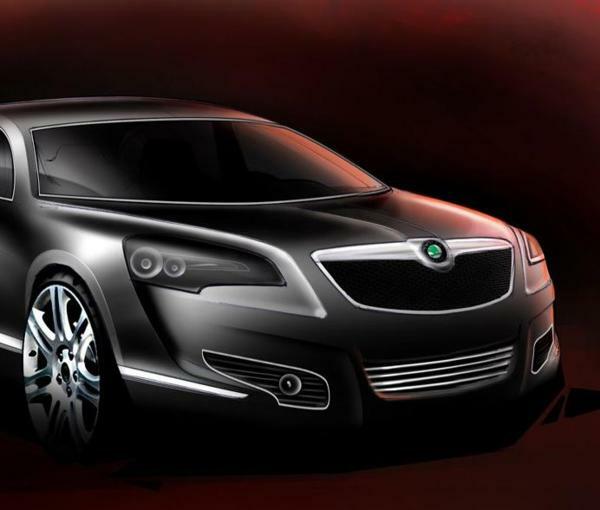 Czech company Skoda Auto in 2013, plans to launch sedan Skoda Octavia third generation, which is sometimes referred to as Skoda Octavia III. The previous generation Skoda Octavia cars have earned a deserved reputation of practical and reliable vehicles that can serve their owners for years without significant damage. Because Octavia model is very common in a variety of commercial and government organizations who want to save on the one hand, car park, on the other – to get cars from the prestigious class with a nice design. But for individuals interested in the new generation Octavia has grown significantly – for the same reasons. The design of the new Octavia in general is positive emotions. There are some clearly visible differences from the previous car in the series. For instance, LED lights, located in front of the car, got kind of oblique parallelepiped, and placed them under the fog lights. Really changed the appearance of wings sedan. And stands out all the car radiator grille with chrome trim will bring the views of all others. The updated logo, located immediately above the grate, reserves some type loop in the center of the hood. The rectangular shape of the new sedan can be considered a hallmark feature of the car and its design. The new Octavia looks very “monolithic” but when you look at it there is the impression that it is as if carved from one piece of rock. Perhaps the changes that are taking the design range Octavia, associated with the popularity of cars Audi, other than a relatively strict form and a laconic look at what is now guided and engineers from Skoda. At the moment, there is evidence that the basic version of the sedan will be powered by octavia petrol engine of 1.2 liters, which develops power of 105 horsepower. You will be able to buy a sedan and a 1.4-liter engine capacity of 122 or 140 horsepower. A diesel options include 1.6-liter engine (90 horsepower) and a 2-liter capacity 177 hp There are reports that in an exclusive configuration will be available 270-hp engine series TSI volume of 2 liters.